as well as other favorite materials including brass and steel. 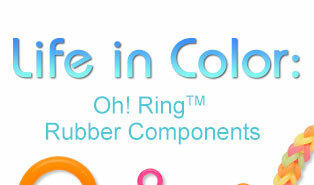 You’ll see jump rings in a myriad of sizes to complement your jewelry-making needs, as well as jump rings in various shapes and colors. 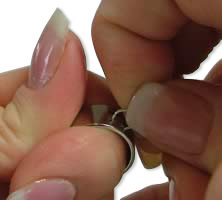 This handy tool will make opening a jumpring a snap! Tammy Honaman, expert jewelry maker, explains the benefits of aluminum jumprings and the wide range of sizes and colors available at Fire Mountain Gems and Beads in this jewelry-making product show-and-tell. Many centuries ago, medieval blacksmiths discovered that thousands of tiny metal rings meshed together made a stab-resistant, ultra-light armor. This battlefield innovation, called chainmaille, protected knights from swords, daggers and arrows. 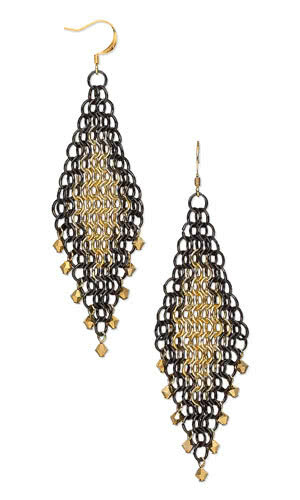 Learn how to create a full Persian chainmaille weave with jumprings. 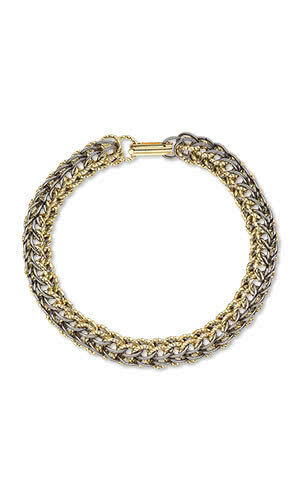 Sue Ripsch, author of “Classic Chain Mail Jewelry” explains the Persian chain using shower curtain rings so it’s easy to follow along. 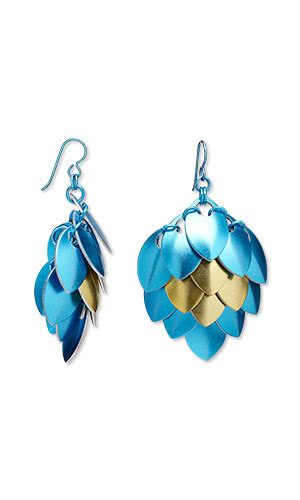 Renowned chain mail artist Sue Ripsch shares how to make a chainmaille love knot to create earrings, bracelets and other jewelry designs, using only Lindstrom® jewelry-making pliers and your favorite jumprings. Sue Ripsch, expert chainmaille artist, walks you through the steps on how to make a Celtic line chain. A zoomed-in 3D tutorial in the corner helps show you exactly where each jumpring goes to create this chainmaille weave.